How Do I Make Friends At Work? Making friends as an adult can be awkward, but having close relationships at work is more important than you may realize. Editor’s Note: This article is one of the top 10 most uncomfortable work situations of 2015. See the full list here. We know that having a workplace confidant is important. In fact, one study showed that having a good friend in the office has the potential to increase our happiness as much as the equivalent of earning $100,000 more per year. But trying to make new friends as an adult can be awkward. 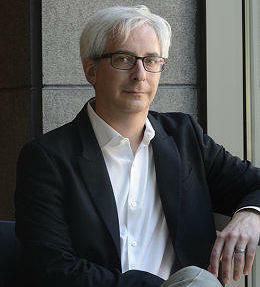 This week, psychologist Art Markman helps a reader break out of his shell and build stronger workplace relationships. I’ve been at my company for a little less than a year and have a good working relationship with my boss and immediate colleagues, but the work I do is very solitary and I haven’t made real friendships in my office. As a result, I tend to each lunch alone in the office cafeteria. I’m an introvert and don’t mind the time alone, but I wouldn’t mind some company once in a while. I’m also worried that keeping to myself too much risks making me look like a loner and might harm my chances of advancing in the long term. I’m frustrated to feel like a seventh-grader hung up on lunchroom politics, but I know that the social dimension of work is important. Is there a natural way to build some office relationships before it’s too late and without coming off as awkward and desperate? You have done a good job of setting up the main problem here. Research on well-being shows that people enjoy their work when they have some friendships at the office. In addition, without some close colleagues it is easy to miss out on information on the grapevine. Finally, promotions and plum assignments are often given based on who comes to mind when people are thinking about their colleagues. The groups at work form haphazardly, and people are often happy to have new additions. The best way to start might be to chat with some of the people you are closest to. It’s okay to confide in them that you feel disconnected to everyone at work because so much of your work is done alone. Invite them to have lunch with you. Along the way, you can also ask them to bring along a few other people you might benefit from meeting. It may feel a little awkward at first to admit that you are feeling like an outsider at work. Because you have a good working relationship with everyone, though, they may assume that you just want your time alone at lunch. I’m sure that people will want to help you integrate more into the social environment. I Think I’m Being Bullied At Work, What Should I Do? My Boss Makes Jokes About My Religion; What Should I Do? How Do I Gracefully Exit A Boring Conversation? If your office has any networking events, you should also try to go to those. Perhaps some groups head out for the occasional happy hour, or they have lunch-and-learn sessions. Use those opportunities to meet a few new people. It will take some effort, because it sounds like your natural tendency is to hang to the periphery of groups. If you go to a networking event, make it a point to introduce yourself to at least five people. At company meetings, sit next to people you don’t know and introduce yourself. Your circle of acquaintances will grow slowly, and that will help you feel more connected. Finally, there is nothing wrong with approaching a group of people you know that sit together and asking to join them. The groups at work form haphazardly, and people are often happy to have new additions. Again, you will be doing something that may be uncomfortable, but you will ultimately enjoy your time at work more when you feel like you have more friends there.